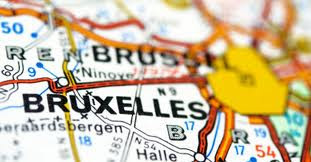 The big european cities project perpetri recently received a phone call from an important resident in the Belgian capital Bruxelles. 'Can you make a picture of Bruxelles ? ', while you clearly could hear he was eating what we suppose to be a Belgian waffle/ a gaufre belge. So be it. We have this certain weakness for Belgium and we will do our best to portray mysterious Bruxelles in a dramatically foolish yet very serious way. We will start out with a site visit, having a gaufre belge ourselves.